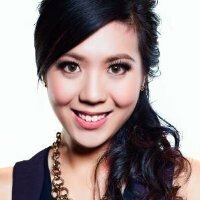 Vicky Wu is the co-founder and CEO of ZAOZAO, the world's first crowdfunding platform for Asia-based emerging designers. ZAOZAO was recently named one of "Top 15 Hottest Crowdfunding Sites Out There" by Business Insider and profiled on TechinAsia and SGEntrepreneurs among other publications. Prior to launching her company, Vicky was a financial analyst at Goldman Sachs, working with clients on capital introduction, setup and build-out of their businesses in Asia. Vicky earned her bachelor's degree from Harvard in 2009. She blogs on ZAOZAO about post-banking and behind-the-scenes startup life, and performs regularly in concerts with the Hong Kong Chamber Orchestra. Students will learn about the basics of how crowdfunding works, as well as key considerations for launching a successful crowdfunding campaign.